Mumbai: Who should pay to keep India's most-wanted terrorist secured- the Maharashtra government or the Centre? 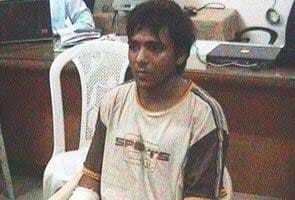 Ajmal Amir Kasab, the lone surviving terrorist of the 26/11 attacks, is being kept inside a Mumbai jail since 2008. He is facing the death penalty. The jail itself is high-security and to keep it doubly protected, a posse of 250 Indo-Tibetan Border Police commandos has been keeping vigil since 2009. But this ring of protection comes at a cost - the monthly bill for the ITBP works out to Rs 77 lakh. Since the state governments pay for the deployment of para-military forces, Maharashtra is to foot the bill and it now owes the ITBP Rs 28 crore. But the Mahrashtra government is reluctant to shell out the money. Its plea is that 26/11 was not just an attack on Mumbai but the entire country. So paying for the commandos is not just its responsibility. The union home ministry though is not buying Maharashtra's logic. Ministry sources say that it may deduct a portion of the security-related expenditure allocated to Maharashtra to pay for that outstanding amount. While the ministry agrees that keeping Kasab secured is not just Maharashtra's responsibility, it doesn't want this to become a precedent by quoting "national interest". ITBP Director General Ranjit Sinha downplayed the matter, rejecting reports of any dispute over the payment. "I will not say there is any controversy or dispute. We have provided force for the security. Whatever amount was spent, the Maharashtra government is consulting it with the Central government," he said. The ITBP was called in to protect Kasab after the Maharashtra government made a request to the centre following intelligence assessments that Kasab could be targeted inside the prison. A 20-ft long bomb and bullet-proof tunnel was also constructed inside the jail premises to connect Kasab's cell with the special court, where the trial was held.